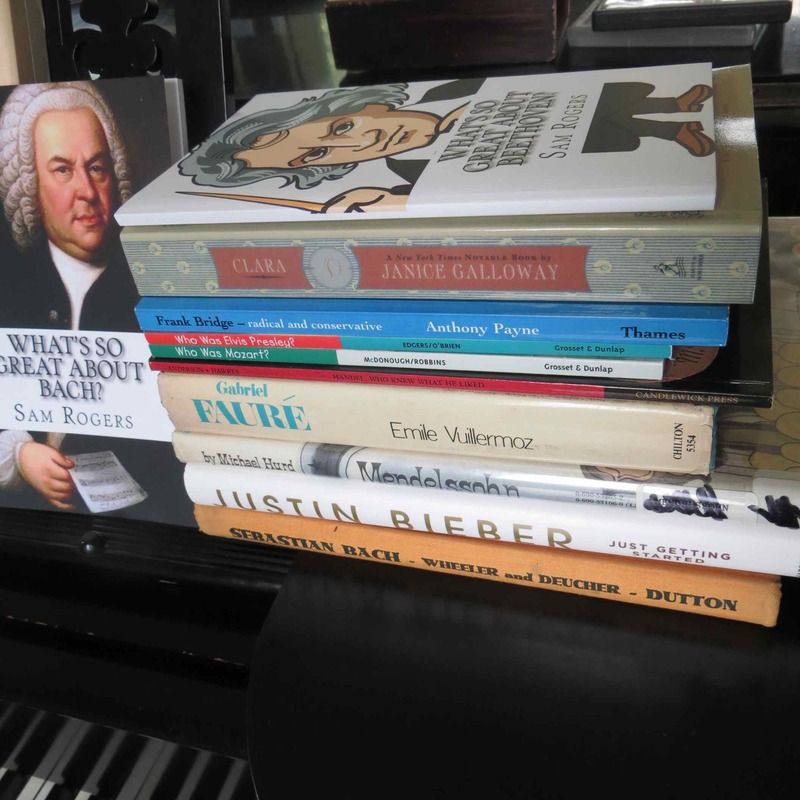 On the first day of Camp Adagio (next Monday, August 10th) we will choose a book to read on a favorite composer or musician. At closing meetings campers will have a chance to share what they’ve learned about the composer (or about the book in general). My collection of biographers is embarrassingly light on female composers and musicians. If anyone out there has books they can lend for next week, loans would be very appreciated!